← Happy Birthday, Town of Fountain Hills! Find your turkey costume and come on down to the 24th Annual Turkey Trot 5k and Fitness Walk this Thursday, November 27th…Thanksgiving Morning. An annual tradition for many families, the trot is a great way to counteract the calories you’ll inhale later. Many participants will done feather or two, and all ages are encouraged to participate. The fun begins at 7:30 at the Community Center, and finishes up just in time to catch your breath and a seat at the Thanksgiving Day Parade which begins at 9:00 on Saguaro Boulevard. You’ll never view your turkey the same way again! 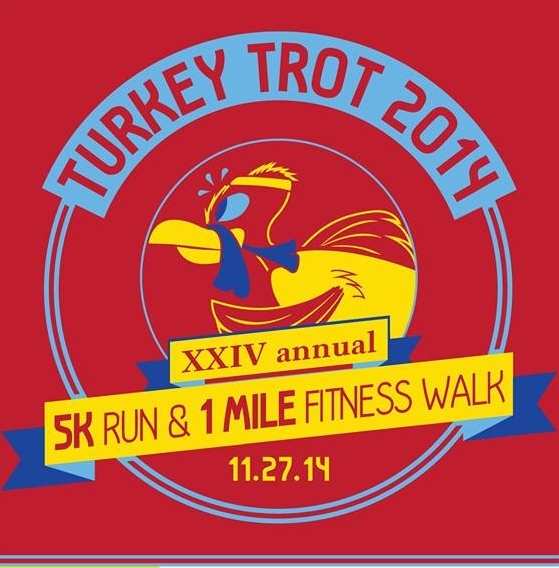 Join Fountain Hills Community Services for the 24th Annual Turkey Trot 5K & Fitness Walk on Thanksgiving morning. Almost 1,700 people participate in this holiday tradition each year. For more information, or to register, please visit our recreation page at http://www.fh.az.gov/recreation. This entry was posted in Area Events and tagged Fountain Hills Turkey Trot. Bookmark the permalink.